So I am feeling a little sad. Adelaide’s school year is starting and all the kids are super excited and wanting to share what teachers they have. I mean the number of texts Thursday at 5pm when the teacher assignments were released were a little nuts. But I admit it got me excited too. Thank goodness I am not going to school these days. I don’t think we had this anxiety or excitement and I don’t think I could handle it or the disappointment of not getting the teacher I wanted. Adelaide seriously has the best outlook of her age that I have ever encountered. She wanted one teacher, then a second and the one she received was her third pick. My heart broke a little for her but I say you get what you get and you can’t pick your teachers. Just like life, it is can be unfair at times and you have to figure out how to roll with it. Man, so glad I am the parent preaching these words and not having to live by them. I hope she continues to be as strong and confident as she is today. So back to my other emotions…. 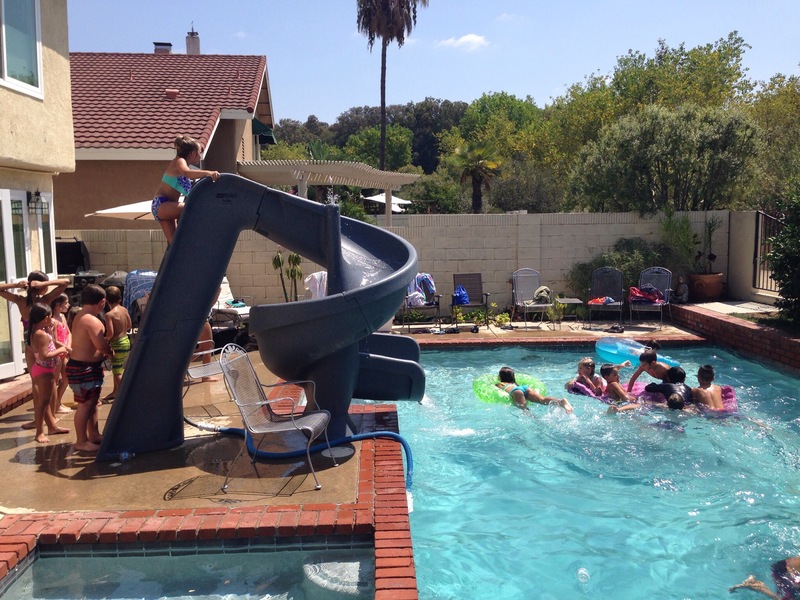 We hosted a BIG pool party with the new pool slide we got for Adelaide over the weekend and it was a huge hit. All the kids had a great time, only one bump on the head and one bee stung kid. That was a huge win considering there were 20-30 kids. What just broke my heart more than I let anyone know was my friend who has her first born starting Kindegarten this year and he will be in Special Ed. She doesn’t get to share in the same excitement as the other parents. She doesn’t get to hope for a certain teacher. She just says oh he starts Kindergarten but he will be in Special Ed. 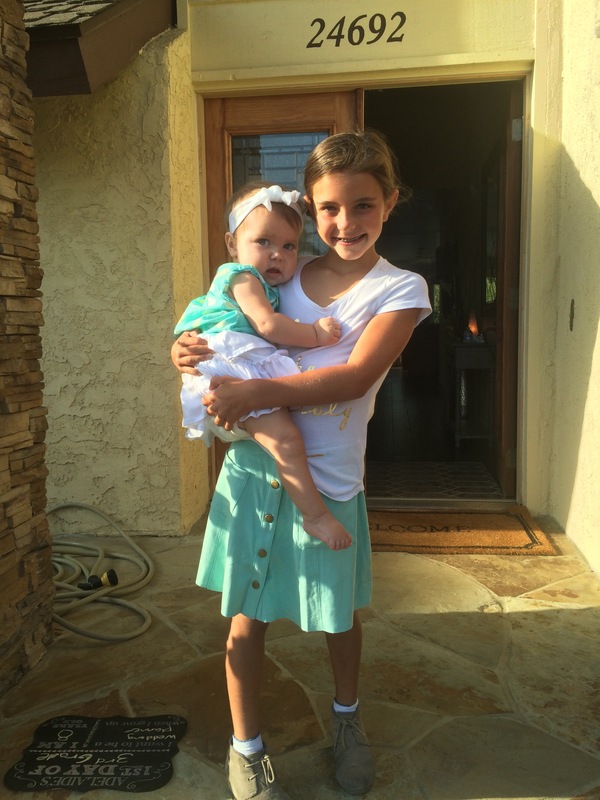 My heart breaks because I saw myself in her shoes with Daphne starting Kindergarten. I know it is selfish. But I want Daphne to have the same experience as Adelaide. I guess I have a goal to strive for. To get Daphne to the stage of “normal” so she can hopefully get to experience this. Here is a picture from the party and the 1st Day of School.